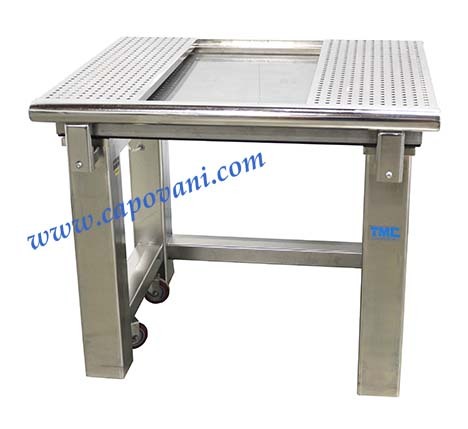 TMC CLEANROOM VIBRATION ISOLATION TABLE 35" X 30"
In addition to this Technical Manufacturing Corporation 63-2562701, Capovani Brothers Inc stocks a wide range of used optical tables and vibration isolation tables. Typical manufacturers include Barry Controls, Ealing Electro-Optics, Kinetic Systems, Newport, and Technical Manufacturing Corp.(TMC). One shelf is 10" wide and the second is 12" wide. Other Information Electropolish finish on frame and rails, Passivated SS finish on table top.